Miley Cyrus and Liam Hemsworth had been together for a decade before he proposed to the Hannah Montana star. The A-list Hollywood couple met in 2009, while filming Nicholas Sparks’ movie, The Last Song. The film’s about a young couple during an emotion-filled summer in case you were wondering. It was Liam’s first major role, as well as Miley’s, away from the Hannah Montana franchise. After a photo was leaked of the pair kissing on set, rumours of their romance started circulating, and the years which followed consisted of breakups, makeups, and a whole lot of drama. However, Liam’s now revealed why he chose to finally ask for her hand in marriage ten years down the line. During an emotive clip from his interview with Sunday TODAY, which is due to air over the weekend, the 29-year-old Australian actor revealed his feelings about his new wife, saying he’s ‘really fortunate to be with such a great person’. We’ve been through so much together over the last 10 years, so [I] felt like it was time. Speaking about their special day, which happened at their Nashville home, in Tennessee on December 23, Liam revealed how it had been a ‘really special day’, and how ‘it was pretty much just immediate family’ on hand for the wedding. Luckily for fans of the pair, Miley has been plastering images from the special day all over her Instagram. She wore a bespoke Vivienne Westwood dress for the intimate ceremony, reports Hello! and her only request for the big day was to have vegan chicken and dumplings. Literally, vegan chicken and dumplings. That was my only rider. I would do anything for dumplings. You could add nothing else. I didn’t even need a dress; I was trying to wear leggings and a hoodie. I just wanted dumplings, that’s all. 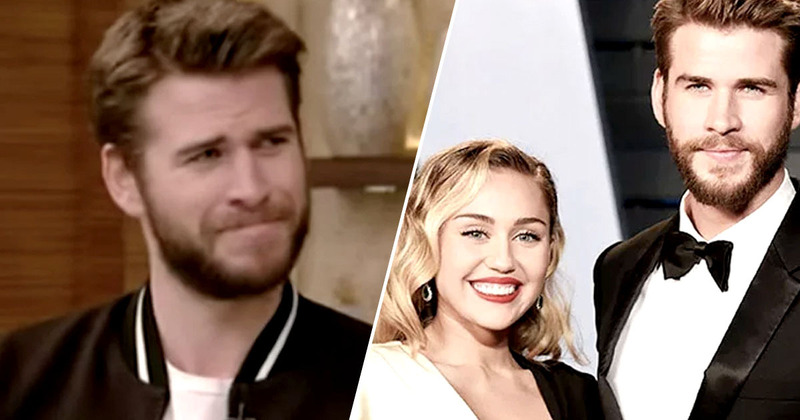 During a recent interview on the American show, Live with Kelly and Ryan, Hemsworth revealed Miley had secretly taken his last name, even though he never asked her to. The Hunger Games star recounted the story, saying ‘Miley Ray Hemsworth now, actually’, when host Kelly called her Miley Ray Cyrus. Ahhh. How cute. Here’s wishing them a very happy life together.